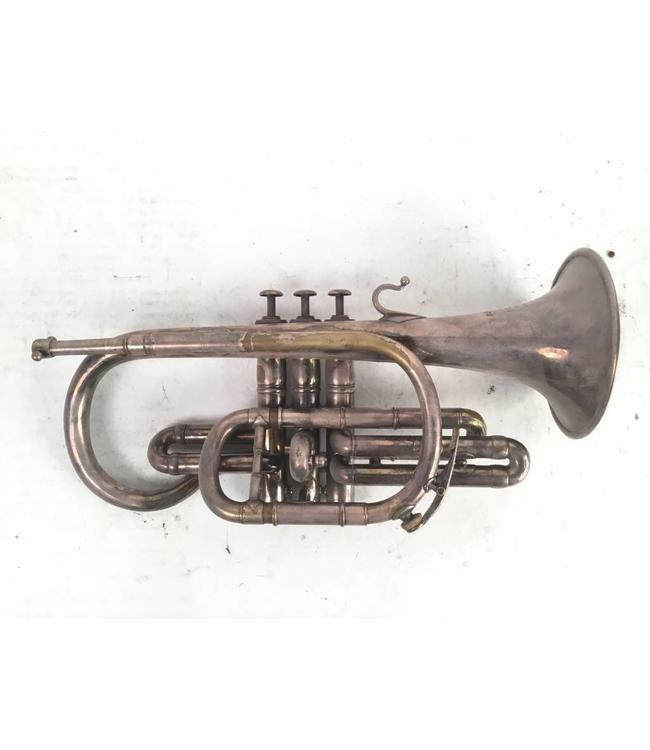 This silver plated F. Besson Bb cornet, with a shephard's crook, is in good condition, with the exception of some silver plate wear. The instrument does not include a case or mouthpiece. The cornet will be chemically cleaned and serviced prior to shipment.